6. 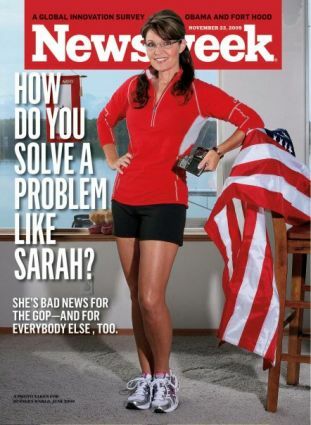 Sarah Palin – In 2 years, Sarah Palin has gone from relative unknown to political juggernaut. Arguably, no one has been more influential in shaping our current political environment than Sarah Palin, including the President. In our celebrity-driven culture, Palin has managed to remain politically and socially relative despite resigning as Governor of Alaska nearly a year and a half ago. She has become somewhat of a tea party star-maker, as many of the conservative candidates she has endorsed have gone on to win primaries for the 2010 elections. If you love her, it’s often because she represents the conservative values that still permeates for the majority of Americans. If you hate her, you see her as a self-promoting, conservative Cliff’s Notes reading, fool. Love her or hate her though, everyone has an opinion. 7. Increased Political Polarization – After his first year in office, President Obama was already the most polarizing President since tracking began during World War II. And today, it’s only gotten worse, as 80% of Democrats and only 7% of Republicans approve of the President. Over the past 2 years, liberal leaders in Congress and the White House have tried to propose large social programs and spend away our future, while conservatives dug in their heels hoping to stave off any major changes to varying results (Health Care to Cap and Trade). This strong-willed opposition has led to name-calling and a disintegrating amount of respect between the two parties. Meanwhile, new legislation continues to grind to a halt as rarely a compromise can be found. 8. General McChrystal – 4-star General Stanley A. McChrystal became an uncharacteristically outspoken critic of the Obama administration while leading our military efforts in Afghanistan. In June, the General resigned amidst the release of a controversial article that appeared in Rolling Stone in which many aides close to McChrystal were quoted saying several negative things about members of the Obama security team. Nearly a year earlier, McChrystal publicly requested a large troop increase. It is very unorthodox for a General to go public with their requests to the Commander-in-Chief. Some called for his resignation at that time, but McChrystal stayed in command. In hindsight, people should have seen the fracture in our security leadership team at this time. 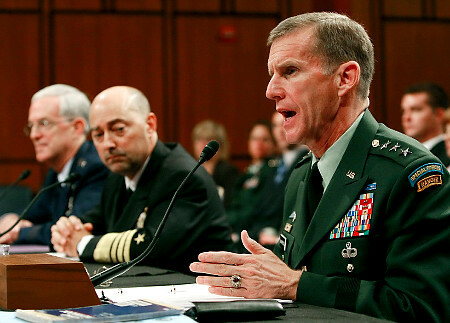 General McChrystal is not a super conservative military man; actually he is quite the contrary. But at the time the Rolling Stone article was released the frustration in dealing with the delays in leadership strategy finally bubbled over. 11. Cap and Trade – Although no plans for a Cap and Trade bill are in the works — and likely will remain so if the Republicans take over the House in the mid-term election — This type of legislation has already been passed in the House of Representatives. It stalled in the Senate due to its wide unpopularity and costly tab. What happened? Well, as the New York Times puts it, “…it was done in by the weak economy, the Wall Street meltdown, determined industry opposition and its own complexity”. When Cap and Trade was sold as a measure to help the environment it was fairly popular. But once people began to understand the costs associated with doing so, its popularity began to wane.If enacted, Cap & Trade legislation will raise costs of production on nearly every sector of our manufacturing industries, most notably Autos, Mining, and Oil. By the Administration’s own estimates, Cap & Trade would cost every American household upwards of $2,000 per year in additional utilities cost. Presidential Candidate Barack Obama spoke strongly and often about the need for a Cap and Trade policy to combat concerns of Global Warming. The drumbeat may have silenced now, but whenever a tragedy happens or the economy turns positive, it will remain a hot button issue until it is resolved. 12. NASA Changes Course – President Obama nominated former Marine Corps major-general and NASA Astronaut Charles Bolden in May 2009. 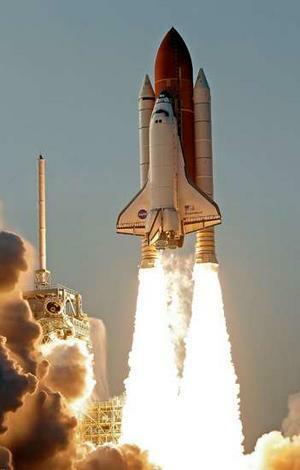 Bolden, the first black NASA Administrator was confirmed in July 2009. In a July 2010 interview with Al-Jazeera (Arab News Network), Bolden stated that perhaps his foremost duty, as given to him from the Obama Administration, was Muslim outreach. To make Muslims feel good about their historic contributions to science . . . and math and engineering. 13. Bush Tax Cuts – In 2001 & 2003 Congress enacted the “Bush Tax Cuts” which lowered taxes for all Americans on income and investments, amongst other things. The cuts have “sunset” provisions that roll back to prior levels at the beginning of 2011. The Obama Administration promised to extend the tax cuts for all Americans making less than 200k per year, but Congress chose to not address the cuts until after they return from their Fall break and the November elections. The Obama Administration also calls the Bush Tax Cuts the “tax cuts for the rich” even though all Americans across all brackets received a similar percentage size tax break. Not to mention the top 10% of tax payers already pay around 75% of the total individual income tax bill. It’s also important to mention the fact that the lack of Congressional action has fueled much of the uncertainty in the market and scared businesses and investors away from making any long-term decisions, slowing economic growth in the eyes of many. 14. 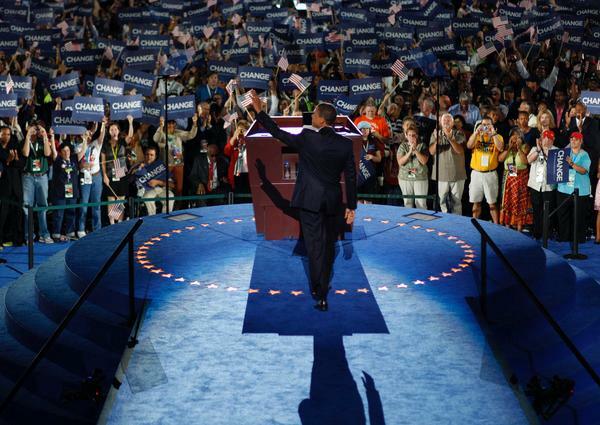 Union Influence at White House – It is no secret that Union leadership in America are major fundraisers and advocates for the Democratic Party. In October of 2009, it was disclosed just how much influence they may have on major policies. Replying to some criticism over their promised transparency, the White House released the visitor logs for the first 6 months of Obama’s Presidency. Appearing at the top of the list with 22 visits in 6 months was SEIU President Andy Stern. Curiously, within those 6 months, President Obama signed Executive Order 13502. The order that was signed, made it priority for the government to favor unionized companies when selecting a bid on construction projects over $25 million. Rather than price or quality of work, the first selection criteria became a handshake agreement with Unions. 15. Israeli Relations – Many believe that US/Israeli relations are at an all time low. Possibly due to public excoriations of Israeli leadership and an ongoing push for Muslim outreach, polls show that nearly half of Americans believe that President Obama is not a strong supporter of Israel. The Obama administration has repeatedly chastised Israel for not completely halting all settlement building in areas of Jerusalem that Bill Clinton, George Bush, and even former PLO leader Yasser Arafat believed would be part of Israel in any peace agreement. These public displays of disaffection prompted 76 Senators in April of this year to write a letter to the Obama Administration voicing its displeasure for their treatment of our closest ally in the Middle East. More recently 87 Senators signed a letter to President Obama that backs Israeli Prime Minister Benjamin Netanyahu and places blame on the Palestinian Authority for freezing peace talks. The things you name are all very true – and man, do I worry about the direction America’s heading in in regards to some of them. Well done on presenting such a list and managing to remain fairly impartial. Thanks for visiting and commenting. Hopefully there are enough people catching on to the amazing events that have occurred in the past two years!